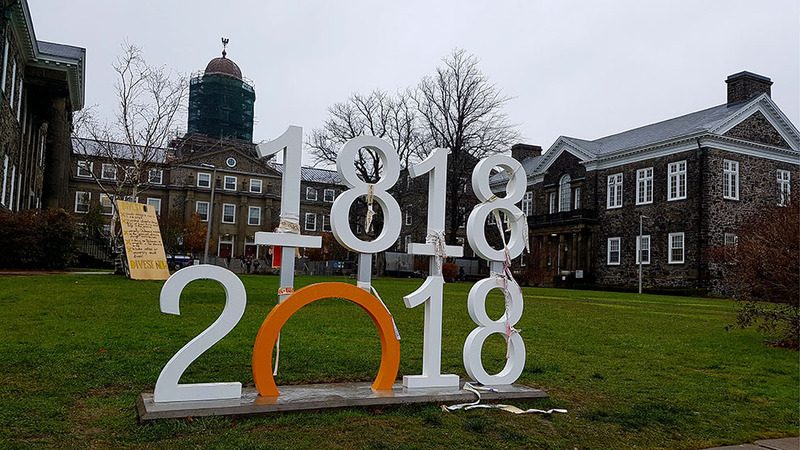 A report looking into the founder of Dalhousie University’s connections to slavery and his views on race is expected soon, just as the university prepares to mark its 200th year. In March 2016, the school’s president, Richard Florizone, and senate chair Kevin Hewitt announced a panel would research the topic. The panel’s findings are expected to be submitted by the end of December. “I’m very much in favour of greater understanding of our past,” Hewitt said in an interview. “With that understanding, I think that we could move forward more, in a way that reflects that legacy more accurately. George Ramsay, the ninth Earl of Dalhousie, founded Dalhousie University in 1818. The school’s website says it was supposed to be an institution open to all, “regardless of class or creed.” However, the university didn’t admit women until 1881 and didn’t have its first black graduate until 1896. Ramsay is also documented to have said freed slaves should be returned to their respective masters. In late 2015, Dalhousie University’s black faculty caucus met with Florizone. One topic of discussion was Lord Dalhousie and slavery and how to approach researching the topic. Afua Cooper, the James Robinson Johnston Chair in Black Canadian Studies, who chaired the panel, flew to Scotland to visit Dalhousie Castle and dig through the country’s national archives. According to the panel’s terms of reference, they’re gathering historical facts about Lord Dalhousie’s actions and statements regarding slavery and race. The panel will interpret those facts in a historical and modern context, then make recommendations based off of those interpretations. The panel is also in charge of the internal and external community discussions that will take place, after the research is submitted. Hewitt said he couldn’t disclose any of the findings thus far, but he sees this research as a sign of maturity as an institution. “The key is to at least be in the same space together, hear those opposing views — as much as you may disagree with them — and engage respectfully,” Hewitt said. This idea of learning from the past to move forward into the future, couldn’t come at a better time, as racial incidents — though not African-Nova Scotian specific — have surrounded the university in the fall term. In October, Masuma Khan, Dalhousie Student Union vice-president of academic and external affairs, was in trouble for her comments about systemic racism. More recently, on Nov. 28, the DSU started providing emergency hijab kits because some Muslim women on campus reported having their hijabs pulled off and spat on. In an email sent to The Signal in November, Cooper confirmed the panel’s findings will be submitted by the end of December.